Trying to find pubs in River? You’ve come to the right place. We’ve got every pub and bar in the UK listed. Whether you’re looking for a pub or bar in River to play darts, somewhere to play pool or just want to have a look at a menu before you go, we can help. 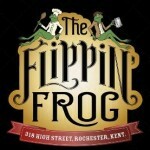 Flippin' Frog in Rochester serves real ale. 10:50 From Victoria in Rochester serves real ale. Amadeus Nightclub in Rochester has a function room that can be booked. The pub has DJ's, it has karaoke. Amadeus Nightclub has live music events. The pub has a pool table, it has a big screen. Amadeus Nightclub shows football on TV. The pub has Sky Sports, it has terrestrial TV. 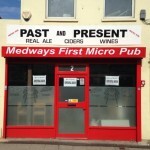 Past and Present in Gillingham serves real ale. Walnut Tree Club in Gillingham has a beer garden. The pub has an outside area, it has a dart board. Walnut Tree Club has DJ's. The pub has karaoke, it has live music events. Walnut Tree Club has a pool table. The pub holds quiz nights, it shows football on TV. Walnut Tree Club has terrestrial TV. 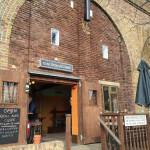 Medway Yacht Club in Upnor has a beer garden. The pub has an outside area. Medway Queen in Chatham has a car park. The pub has a function room that can be booked, it has an outside area. Medway Queen has a smoking area. The pub has a dart board, it has a pool table. Medway Queen has a big screen. The pub shows football on TV, it has Sky Sports. Medway Queen has terrestrial TV. Medway Inn in Wouldham has a beer garden. The pub has a function room that can be booked, it has an outside area. Medway Inn has a dart board. The pub has live music events, it has a pool table. Medway Inn holds quiz nights. The pub has a big screen, it shows football on TV. Medway Inn has Sky Sports. The pub has terrestrial TV.